Donald Trump will enter the Oval Office with the ability to re-establish the Supreme Court's conservative tilt. He is expected to act quickly to fill one court vacancy and could choose the successor for up to three justices who will be in their 80s by the time his term ends. WASHINGTON (AP) — Donald Trump will enter the Oval Office with the ability to re-establish the Supreme Court’s conservative tilt and the chance to cement it for the long term. Trump is expected to act quickly to fill one court vacancy and could choose the successor for up to three justices who will be in their 80s by the time his term ends. The court has been short-handed since Justice Antonin Scalia died in February, and Trump has said he would seek someone in Scalia’s mold from a list of 21 people, mainly conservative state and federal judges in their 50s. Trump’s victory was a vindication for Senate Majority Leader Mitch McConnell’s strategy of refusing all year even to consider President Barack Obama’s nomination of Judge Merrick Garland to take Scalia’s seat. McConnell announced on the night that Scalia died that the vacancy should be filled not by Obama, but by the next president. The Kentucky Republican was heavily criticized for his stance by Obama, other Democrats and even many legal scholars. Now Garland’s nomination is dead, if not officially. A fifth of voters nationwide said Supreme Court appointments were the most important factor in determining their presidential vote, and nearly 6 in 10 of them backed Trump, according to exit polls. “The people deserved to be heard yesterday, and their voice was unmistakable,” conservative activist Carrie Severino said in a statement that praised McConnell and Senate Judiciary Chairman Chuck Grassley of Iowa for standing firm on the Garland nomination. If Trump sticks to the names of potential nominees that he put out in the spring and added to in the fall, he could choose among several experienced appeals court judges, minority candidates and women. The list also is notable for its omission of some pre-eminent Republican judges and lawyers, including Judge Brett Kavanaugh of the federal appeals court in Washington, D.C., and Paul Clement, who served as George W. Bush’s top Supreme Court lawyer. “In the longer term, it is a question of how long Ginsburg, Kennedy, and Breyer can remain. Replacing any or all of them will tilt the Court in a much more conservative direction and can create a majority to reverse Roe v. Wade, eliminate affirmative action, strike down more campaign finance laws,” Dean Erwin Chemerinsky of the University of California at Irvine law school said in an email. The leader of the court’s liberal bloc, Ginsburg had been confident Hillary Clinton would win the presidency, telling The Associated Press in July that the next president, “whoever she will be,” would have several Supreme Court seats to fill. She, and to a lesser extent, Breyer, had rebuffed pleas from fellow liberals, including Chemerinsky, to retire while Obama was in office and Democrats controlled the Senate, which they did until 2015. Kennedy was appointed by Republican Ronald Reagan, but he has been the key vote in favor of gay rights and preservation of abortion rights, among issues on which he often sides with the liberals. 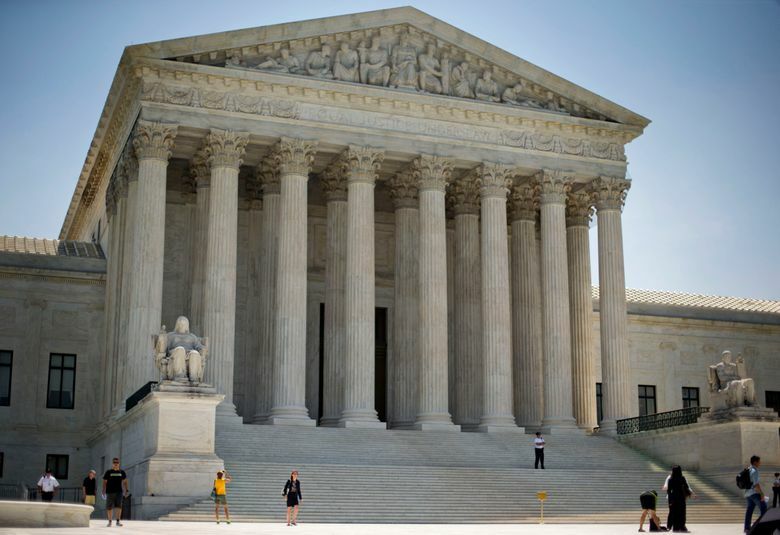 Recent Supreme Court history offers two examples of Republican-appointed justices, David Souter and John Paul Stevens, who appeared to wait out Bush’s presidency and then retired after Obama’s election. Stevens was 90 when he stepped down from the bench.